One last "missing" episode from our archives that we are bringing back to you! Originally released on January 26th, 2015. The CBBears present to you the second of our special satellite episodes. This time around regular co-host Bill Zanowitz is joined by Michael Myers of the Valiant Podcast, DC Noise and Geek Brunch! Mike and Billy Z came to be comic fans at the same time and they will present their argument that 1973 was a GREAT year to enter the world of four color heroes! Through this episode you will hear them recount how they came to start reading and collecting, what it was like to experience the premiere episode of Super Friends, the magic that was the Mego World's Greatest Super-Heroes action figure line and what their early and long-time favorites were and are. 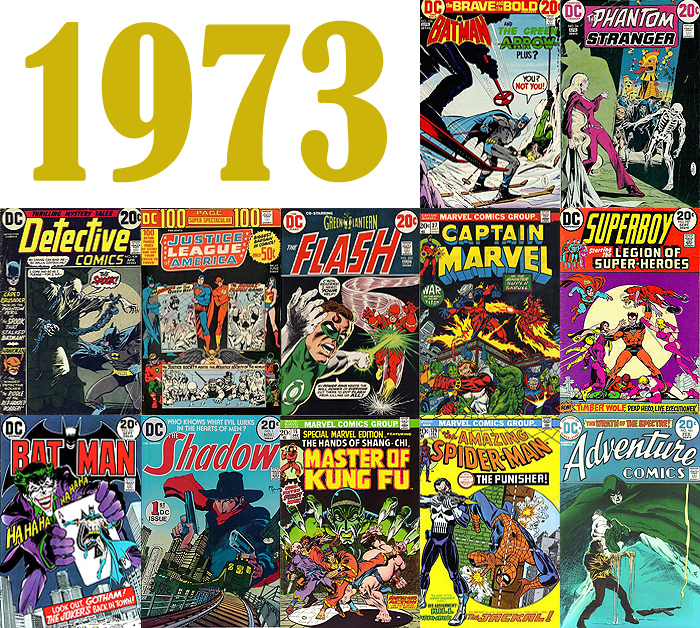 Some of those favorites - 100 Page Super Spectaculars, The Defenders, Justice League of America, OMAC, The Flash, Spider-Man, Jack Kirby, Mike Grell, Cary Bates, Len Wein and much, much, much more! And, in keeping with the tradition of the their respective podcasts, Mike and Billy Z's involvement insures that there will be tangents galore!